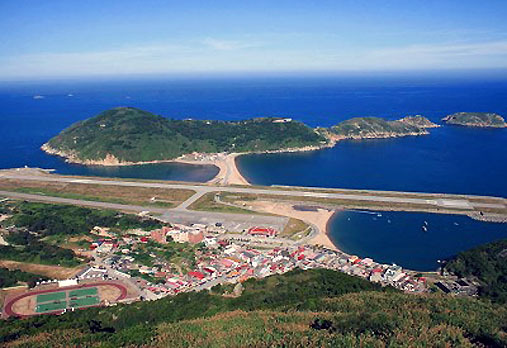 The Matsu Islands (馬祖列島)are a minor archipelago of 19 islands and islets in the Taiwan Strait administered as Lienchiang County (連江縣; Lièng-gŏng-gâing) under Fujian Province of the Republic of China. 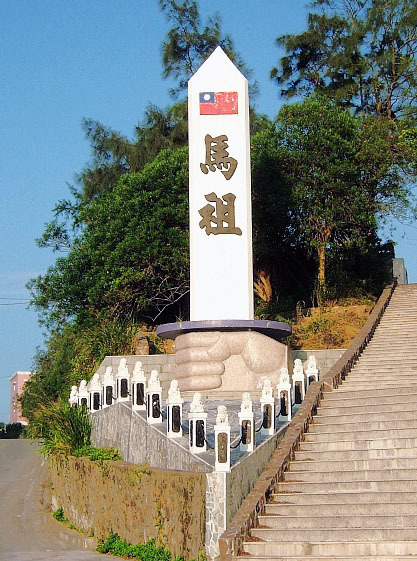 Only a small area of what is historically Lienchiang County is under the control of the Republic of China. 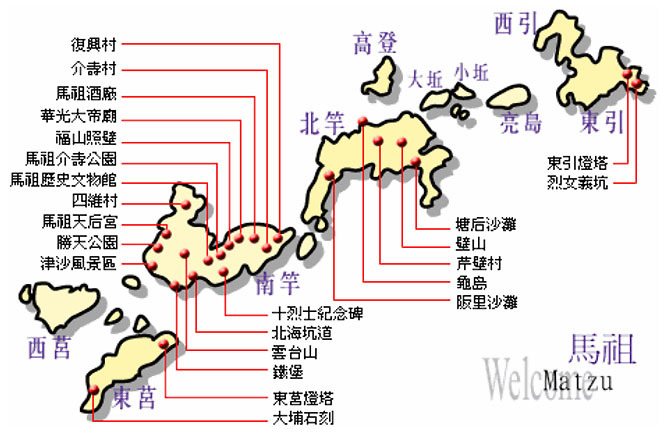 The People's Republic of China administers the part of the historical county on mainland China as Lianjiang County, which claims the entire archipelago to be its Mazu Township (馬祖鄉). 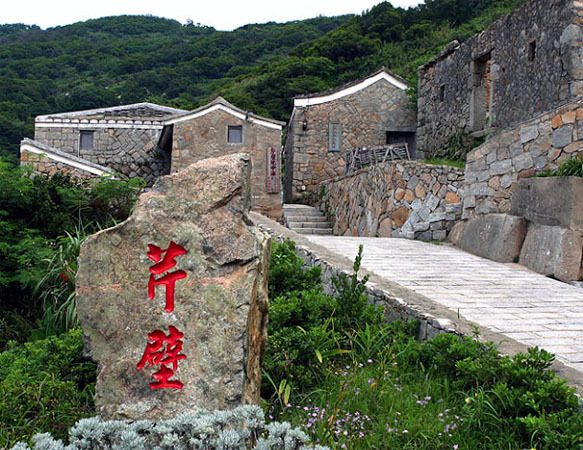 They are named after the goddess Mazu. 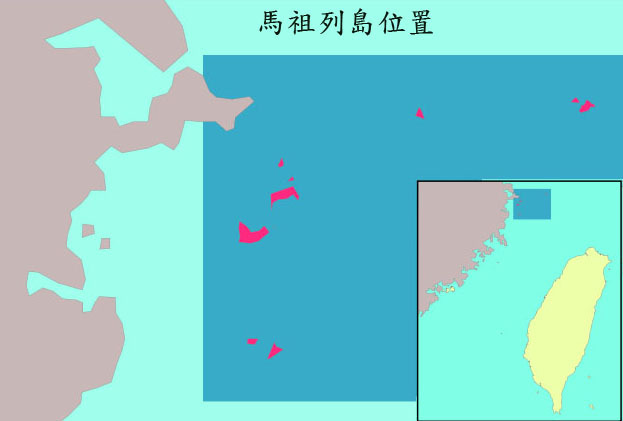 Kinmen is the other archipelago on the Fujian coast controlled by the ROC.